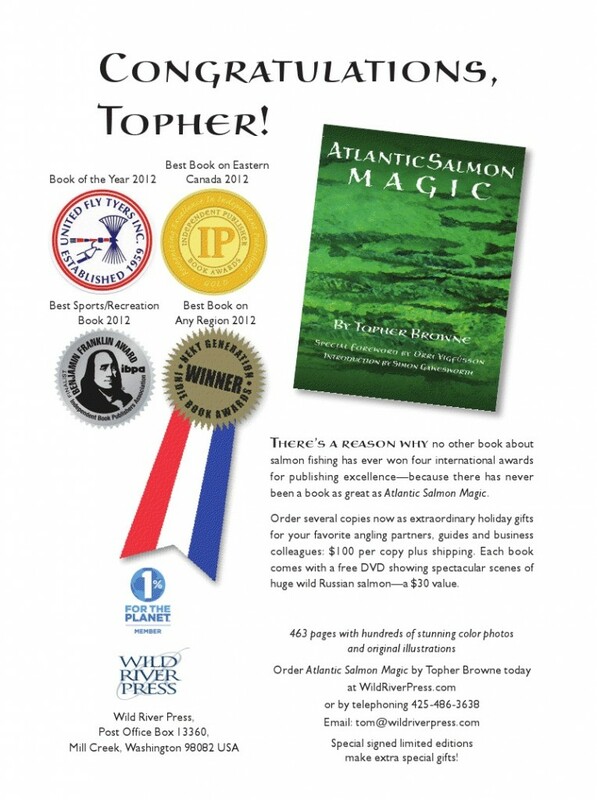 Ok, so not everyone can own a book that comes with a price tag of a hundred bucks, but anyone who holds a fascination for Atlantic salmon ought to cough up the money for this one, if you haven’t already. 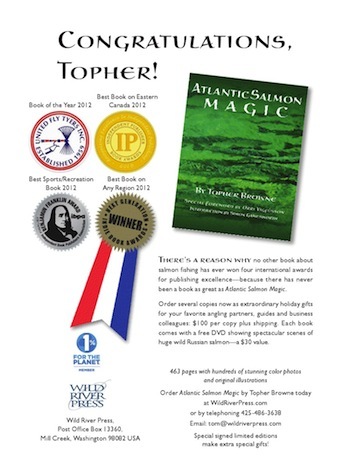 This is the book on Atlantic salmon and you can’t turn through the pages without saying, “I’ve got to do that at least once in my life.” That’s why this book is now the recipient of four big book awards for author and salmon enthusiast Topher Brown. This entry was posted in Books, Travel, US & Canada and tagged Atlantic salmon, Gaspe Peninsula, Quebec. Bookmark the permalink.